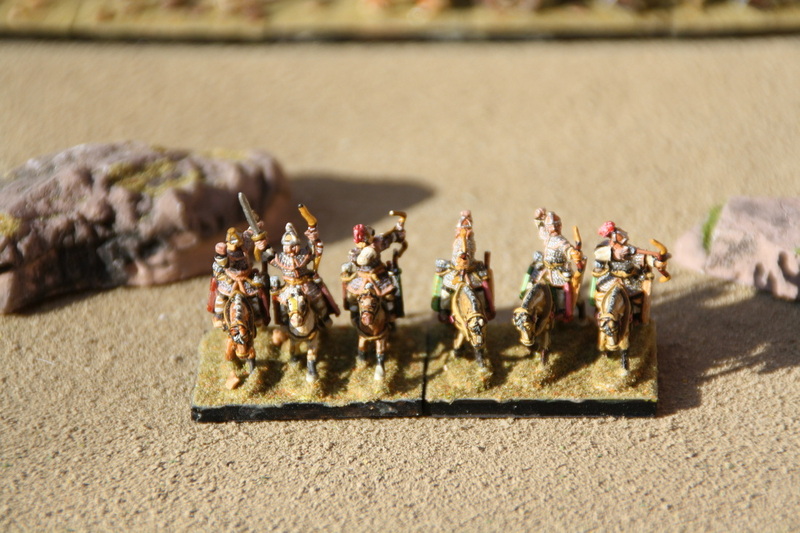 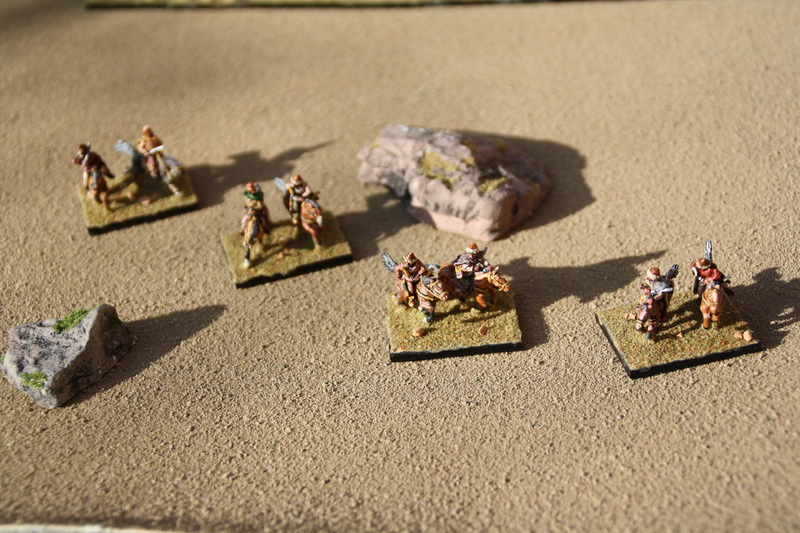 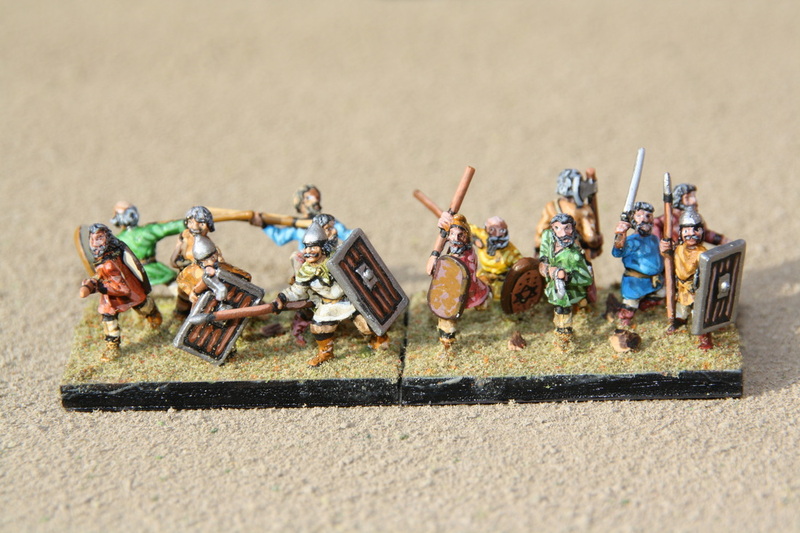 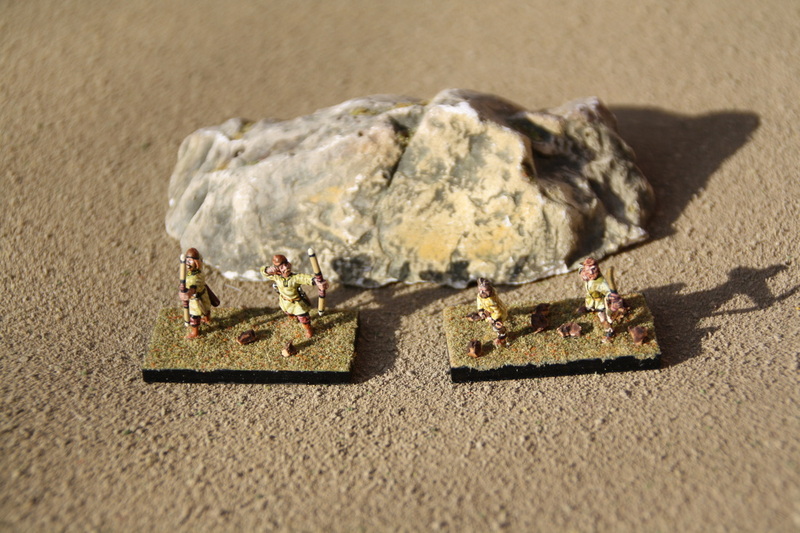 I painted the Khazars for the 2014 Solothurn 15mm tournament "Armies in the times of Charles the great". 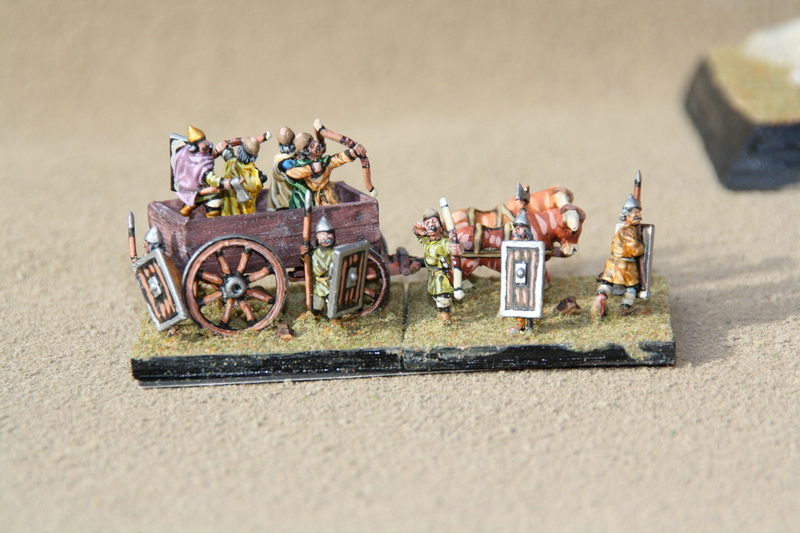 There were many interesting armies from the time of Charlemagne, but I was especially happy that the Khazars were among them: I always wanted to have a warwagon and hordes, so this was a good opportunity to get both. 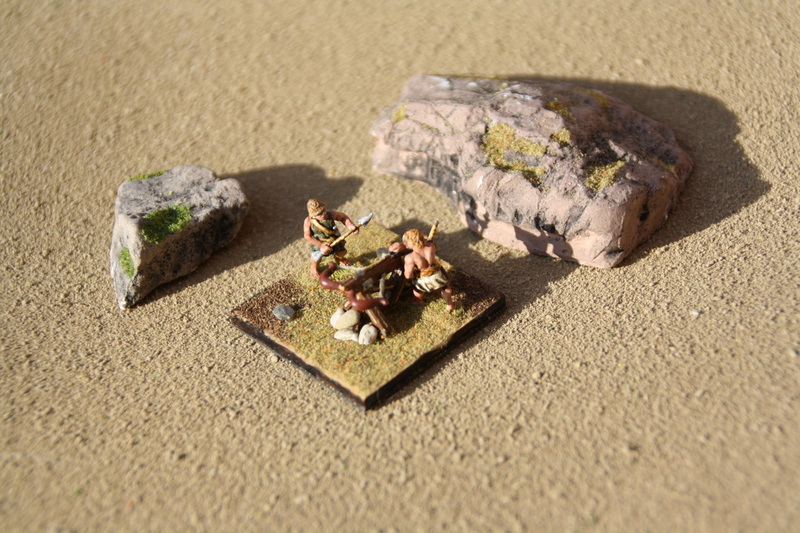 The miniatures are from Essex except for the Artillery which is Scotia Grendel. 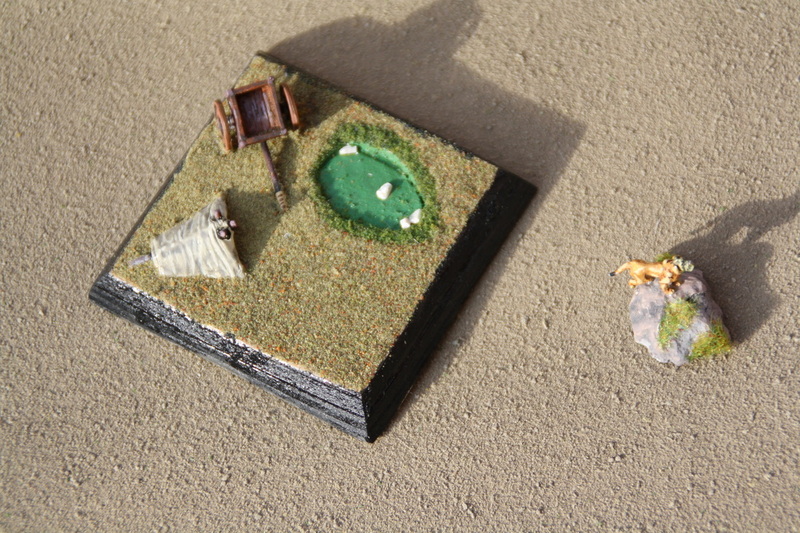 The field camp with a watering hole for the oxen and a watchdog which represents the camp followers.